A super car is a term for sports car or any car that is expensive, powerful and fast. The term super car is not used as often in the United States. Super cars are fun to draw due to their dynamic shape, design and inherent flash. 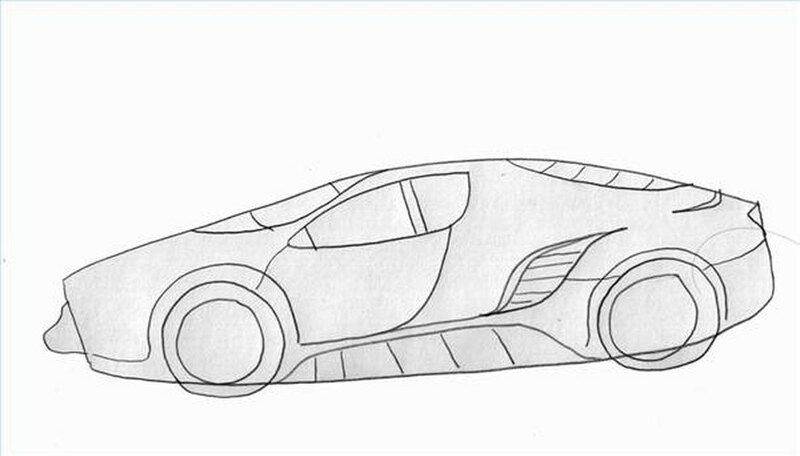 For the example in this article you will be learning to draw a MC1 Super Car. This car is high tech, aerodynamic and incredibly fast. 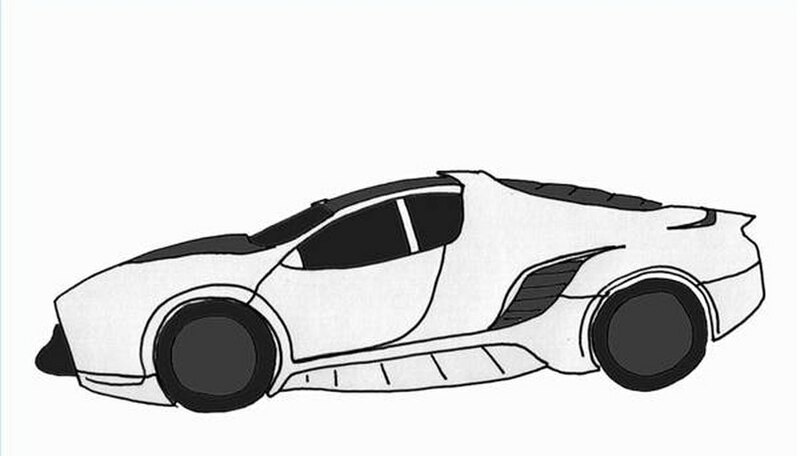 Drawing a car like this depends on breaking the image down into very basic geometric shapes. This will enable you to create more layers of details over the frame of the car. 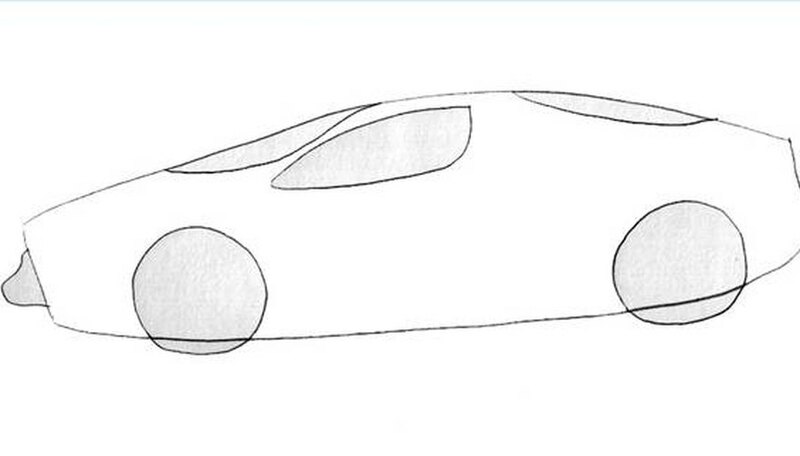 Draw an oblong, flat football-shaped oval for the body of the car. Erase both the left and right tip of this shape and redraw the ends with diagonal lines, one on each side. Add two circles, one near the bottom left and the other near the bottom right, for wheels. 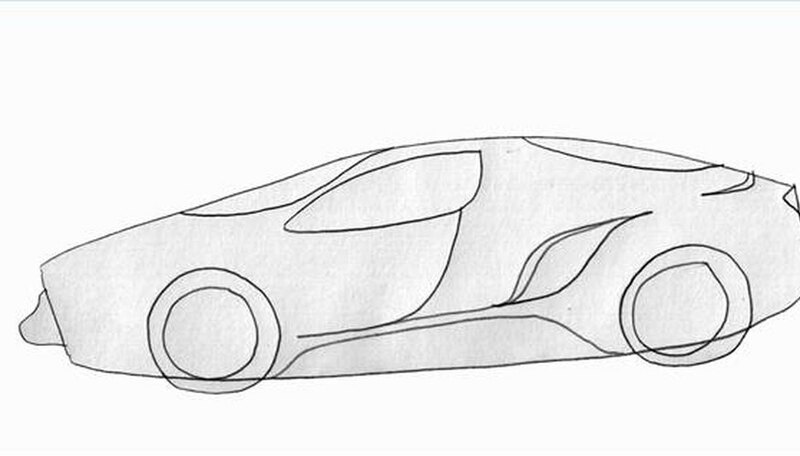 Draw the windows with a very thin triangular shape on the top, middle left side of the body of the car. This will be the front window. Directly to the right of this shape add a triangular shape that has its points rounded off. This will be the side window. On the upper right of the body of the car draw a curved line. The space created from the curved line and the outside edge should be smaller than 1 inch. 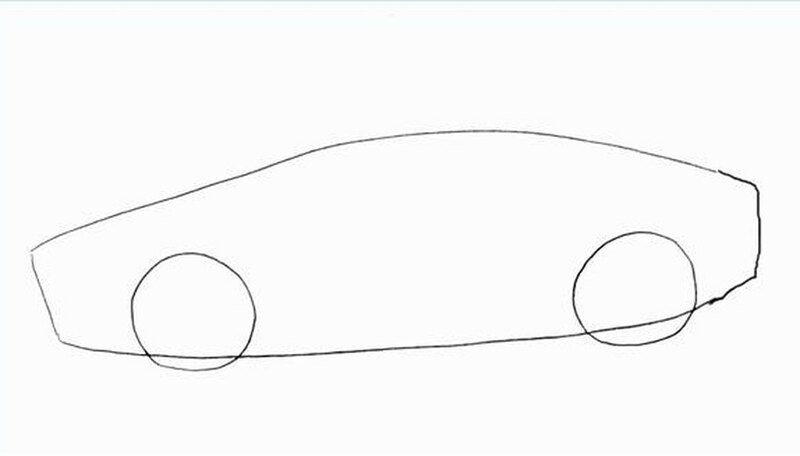 Draw the door of the car by starting a curved line at the bottom right corner of the side window. Draw the line as a slightly curved "J" shape that continues until it hits the wheel of the car. Add the bumper to the front of the car with a small triangular shape coming off the front of the car. Add rims by drawing a slightly smaller circle inside each wheel. Create the vents on the side of the car with a two flattened "S" shapes connected together to the left of the back tire. Add four horizontal lines inside this shape. On the bottom of the car, draw a slightly diagonal line connecting the back of the front tire to the front of the back tire. Add four vertical lines inside this shape. Erase any overlapping guidelines that you don't need anymore. Ink the entire drawing. Let the ink dry and darken in the windows, bumper and tires. Make a photocopy of the final picture so that you can test different color schemes for the paint job without messing up the final picture. Be sure to let the ink dry before erasing the pencil or the picture will smudge.